Test us out for 14 days, its 100% free no credit card required. How many requests can we push out in 14 days? Load them up and test our turnaround skills! Want a revision, not a problem. 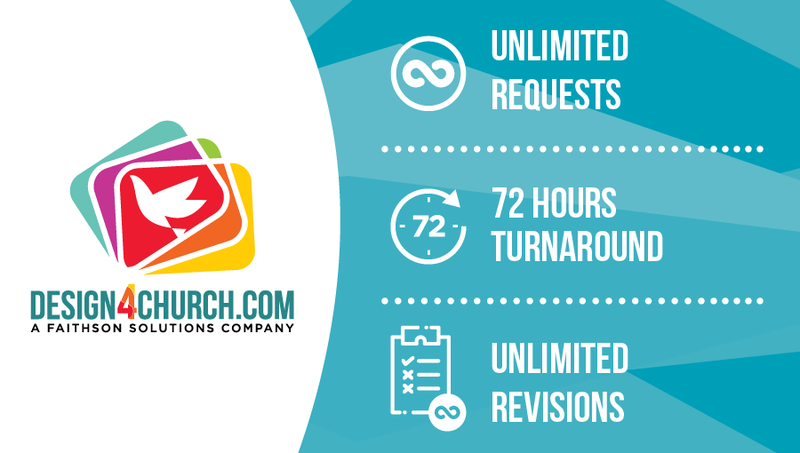 Print your first design with Printing4Church.com and get $20 off. We will contact you through email most of the time, however if we need to call you what is a good number to reach you. When possible please give us a 2-week notice for each project. Most projects will be completed in 3 business days. I do not need any other services on this project. Please explain your project in full detail to help our graphic designer understand your project goals. Let us know if you have specific content you would like included. This information will be copy and pasted on your designed graphic. I understand that Faithson will design unlimited graphics for my Church. I can request revisions to the project, but additional time would be granted. We ask that all projects are given a 2-week deadline, however, most projects are completed in 3 business days. Design services do not include print, installation, or any other services included in our Product Catalog. Thank you! Our designers will start working on your project, and will contact you with any questions.